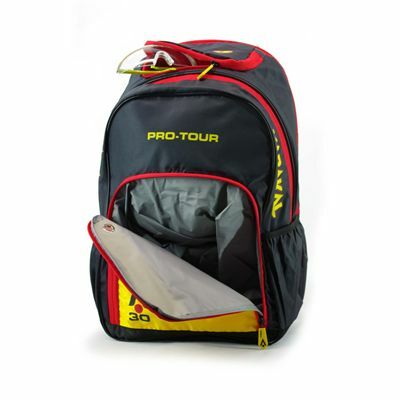 Offering plenty of space for your court equipment, the Karakal Pro Tour 30 backpack can accommodate a single racquet with a dedicated compartment, and one main compartment for all essentials like clothes, towels and more. 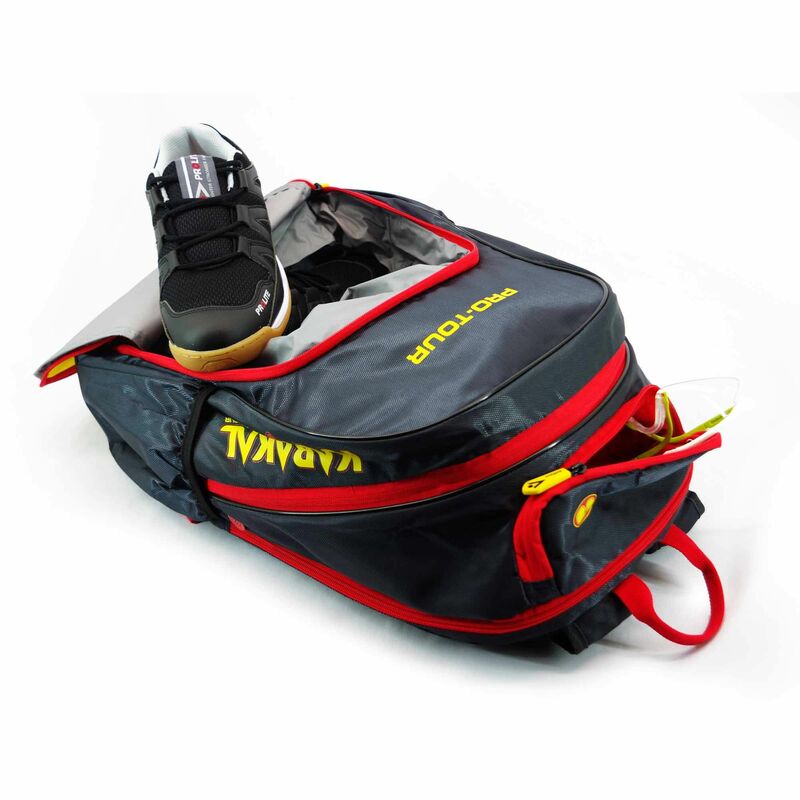 For accessories and small items, the bag includes a selection of pockets including two side pouches, and front zippered pocket, plus there is a special soft-lined pocket designed specifically for goggles. 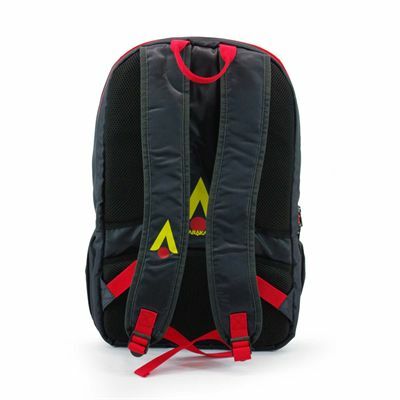 Additionally, the bag allows for storing separately clean clothes and dirty garment thanks to a convenient wet pocket, and it features innovative breather buttons to keep everything fresh and properly ventilated. The bag is incredibly pleasant when carried on and off the courts due to padded, adjustable shoulder straps and a carry handle. for submitting product information about Karakal Pro Tour 30 Backpack We aim to answer all questions within 2-3 days. 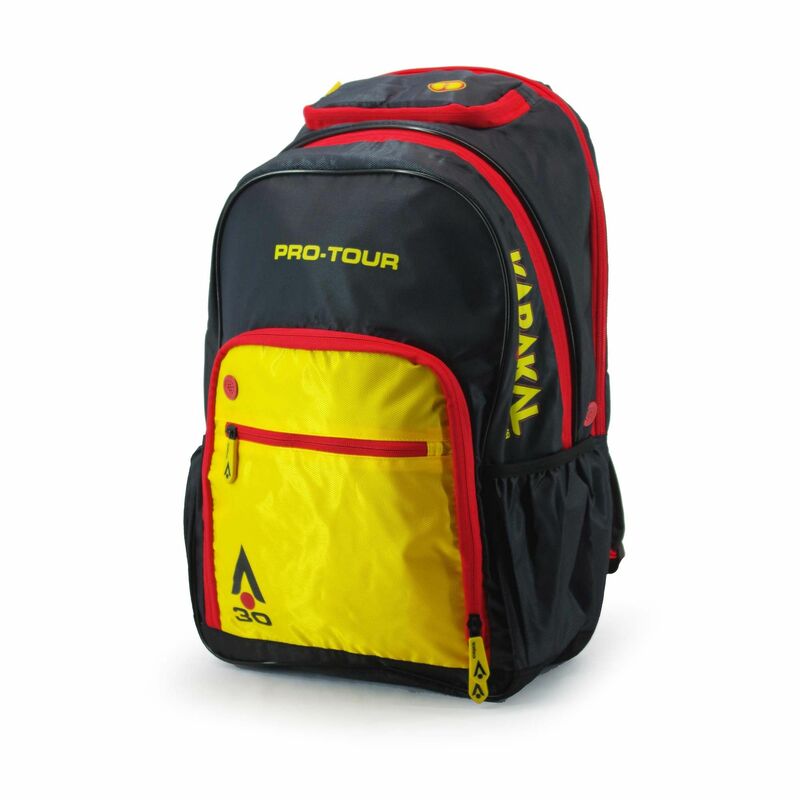 for submitting product information about Karakal Pro Tour 30 Backpack. We aim to answer all questions within 2-3 days. If you provided your name and email address, we will email you as soon as the answer is published. 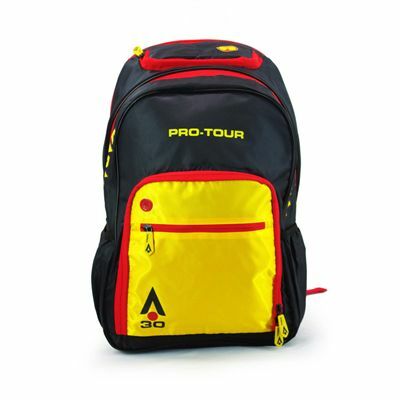 for submitting product review about Karakal Pro Tour 30 Backpack.